Although depression and anxiety disorders are common comorbid conditions in alcohol dependence, few structural brain imaging studies have compared alcohol-dependent subjects with and without such comorbidity. 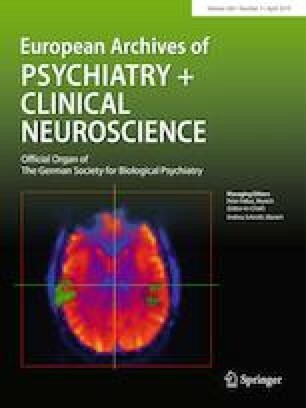 In the current study, brain scans of 35 alcohol-dependent with and 40 individuals without diagnosis of a comorbid ICD-10 depressive or anxiety disorder receiving detoxification inpatient treatment were evaluated. Thickness and volumes of automatically segmented neuroanatomical structures were measured in FreeSurfer. Furthermore, associations of brain structure with biological markers and clinical severity markers of alcohol dependence were assessed. Despite comparable addiction severity, the non-comorbid group had evidence of higher cytotoxic effects of alcohol use on hepatic and haematological markers, and showed significantly smaller volumes of total cerebral, and cerebellar grey matter. Similarly, they showed unexpected smaller hippocampal and nucleus accumbens volumes, and thinner frontal, temporal and occipital cortices. Smaller brain volumes correlated with increased markers of hepatic and haematological dysfunction, and with longer duration of alcohol dependence in the non-comorbid group. Evidence of higher biomarkers of alcohol use may be indicative of more severe alcohol dependence or higher vulnerability to ethanol toxicity in this group. Furthermore, psychopathology-related drug treatment, which occurred in 53% of the comorbid group over the recent years, or tissue inflammation may have a moderate effect on the grade of cerebral atrophy in alcohol-dependent patients. Longitudinal studies are needed to investigate this issue more fully. The online version of this article ( https://doi.org/10.1007/s00406-018-0870-x) contains supplementary material, which is available to authorized users. This collaboration and research project was supported by the EUSARNAD program of the “European Commission 7th Framework Program” (Marie Curie International Research Staff Exchange Scheme Program). D. J. Stein has received research grants and/or consultancy honoraria from Abbott, ABMRF, Astrazeneca, Biocodex, Eli-Lilly, GlaxoSmithKline, Jazz Pharmaceuticals, Johnson & Johnson, Lundbeck, National Responsible Gambling Foundation, Novartis, Orion, Pfizer, Pharmacia, Roche, Servier, Solvay, Sumitomo, Sun, Takeda, Tikvah, and Wyeth. U. Havemann-Reinecke has received research grants and/or consultancy honoraria from CNMPB (Centre of nanomicroscopy and molecular biology of the Brain of the DFG, German research Federation), Astra Zeneca, Lundbeck, Lilly, Janssen. The other authors declare no conflict of interest with respect to subjects of the paper.